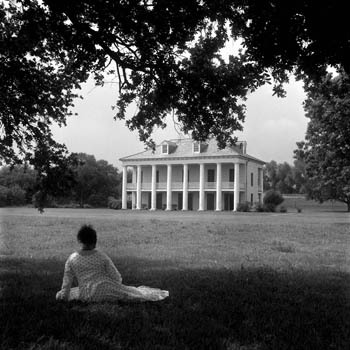 Groundbreaking Photographer Opens at the Frist, Travels the U.S.
A deep-seated yearning to tell the untold stories of African Americans and her belief “that black folks operate under a cloud of invisibility . . . even in the midst of the great social changes we’ve experienced . . . with the election of Barack Obama” is at the heart of her art. 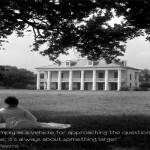 Weems works in opposition to society’s refusal to include marginalized peoples as part of the greater whole. “Black experience is not really the main point; rather, complex, dimensional, human experience and social inclusion . . . is the real point,“ says the artist. Carrie Mae Weems’ social engagement is evident from her earliest works. 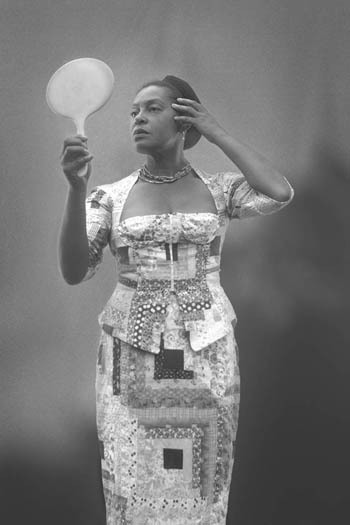 Her Family Pictures and Stories (1978–84) was conceived as a rebuttal to the Moynihan Report from 1965, in which future senator Daniel Patrick Moynihan blamed the troubles of the African American community on the matriarchal nature of many black families. Turning her camera on her own extended family, Weems chronicled their everyday life, providing a realistic, unvarnished portrayal, including their challenges and troubles. Like photographer Roy DeCarava who gave voice to the community around him in Harlem, Weems, from the start, positioned herself as the image-maker and storyteller—providing an inside view of unseen experiences. 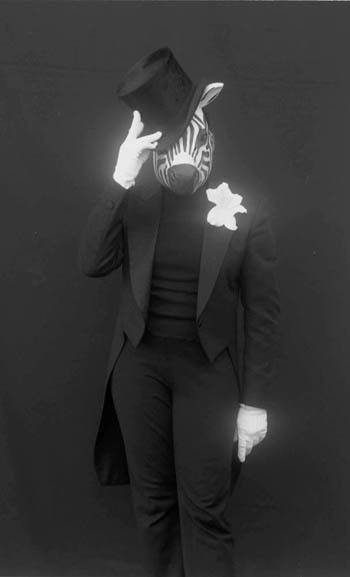 Folklore also plays a significant role in Weems’ work. She uses it to uncover buried stories, mirroring the experiences of African Americans and revealing the undercurrents of racism in mainstream culture. In her Ain’t Jokin’ series Weems uses racist jokes as a tool to deconstruct white perceptions of blacks. In a similar manner her American Icons series utilizes racist images found in black Americana collectibles to underscore how those perceptions linger beneath the surface in society. By questioning widely held assumptions and revealing the hidden history of African Americans, Weems is able to directly engage with the historical record. Her deconstruction of history perhaps reaches its most affecting apex in From Here I Saw What Happened and I Cried (1995–96). In this series of thirty-three appropriated historical images of African Americans, Weems delves into some of the most racist and hurtful historical representations. 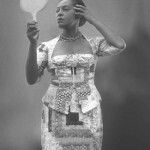 Etched into the glass that covers each image are phrases such as “You became a scientific profile,” “A negroid type,” or “An anthropological debate.” Flanking the photos are mirror images of a regal Mangbetu woman, standing as witness to the dehumanization of African Americans that is represented in the photos and text. Through this series, Weems poignantly rescues a photographic history of African Americans from stereotypical conventions and gives voice to the disempowered. The Weems retrospective is a major landmark for the Frist Center, and it will travel to the Portland Art Museum, Cleveland Museum of Art, and the Guggenheim, New York. 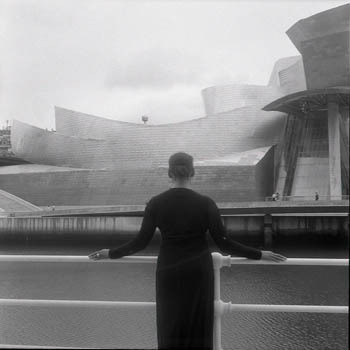 Carrie Mae Weems: Three Decades of Photography and Video will be at the Frist Center September 21 through January 13.